Netapp DS2246 Storage Expansion Array. 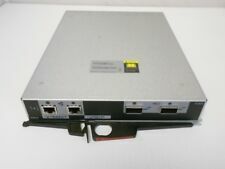 Can be used as a expansion array for other Servers(ie Dell/HP) by installing a NetApp 111-00341 card. Only can use linux. 24x 2.5" SAS Hard Drive Trays Installed. Netapp DS2246 Storage Expansion Array. 24x SAS Trays Installed W/Interposer 111-00721 A0. Boardroom Technologies will provide top level service and will do everything in our power to satisfy all your needs. Pass all netapp test ready install. Boardroom Technologies will provide top level service and will do everything in our power to satisfy all your needs. Das Modul wurde nicht benutzt, da keine Notwendigkeit dafür bis jetzt gab. Einen Genauen Eindruck können Sie sich gern bei einer Beschichtigung verschaffen. NetApp 1TB Flash Cache PCIe Card. Dell, HP, IBM, NetApp, Cisco, Juniper, Brocade, and more. Commonwealth Bank. Bank BIC/Swift Code : CTBAAU2S. Model: X1972A-R5. Account Number : 1001 2449. Account BSB : 064 050. We WILL resolve your issue as soon as we are made aware of it. Condition : new. Features listed on this page may be incorrect. The item is in proper working condition when it leaves our warehouse. This item is tested and is in good working condition. We accept If we are unable to verify your order; your order may be cancelled. 512GB SLC Flash Speicher. Netapp 512GB Flash Cache. NetApp 512GB Flash Cache PCIe Karte. NetApp Flash Cache Module. Wir führen außerdem eine große Auswahl an HP, Sun und SGI Workstations und Servern. NetApp P/N: X3244A-R5, 111-00524. IBM P/N: 45E0495. Kompatibilität: Netapp FAS2040, IBM N3400. Netzteil für NetApp FAS3240 FAS3210 FAS6210. Er passt problemlos in Taschen und nimmt auf Tischen wenig Platz ein. JPP Computertechnik. TheNetApp 111-00525 is aPerformance Accelerator Card. ConditionLike New. Part Number111-00525. NetApp DS4246 Disk Array Shelf. If you are going to be using this as a JBOD to a server(not netapp ). Compatibility DS4246,DS2246. Cables, Cords & Adapters. Any problem with an item must be reported within warranty period. Hard Drives. SAN Storage. Part Number: X5713A-R6. I only opened up the box / static bags in order to photograph the item. NETAPP P/N : 94443-05. Current : 7-3.5A. Apparent Power : 0.7 KVA. P/N: 110-00177 B2. FLASH CACHE CARD. P/N: 111-00709 A3. DON'T SEE WHAT YOU ARE LOOKING FOR?. We have no option to test it, but it should work perfectly! · We are professionals! Hope to deal with you again. Best regards. Netapp X425A-R5 1.2Tb 10K 6GB/s SAS drive 108-00321 caddy for DS2246 shelf 2.5"
In caddy / tray for DS2246 shelf. 1.2Tb 10K 6GB/s SAS Drive 2.5". All drives "zero'd". 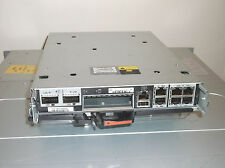 NetApp - E-X5681A-QS-R6 - DE5600 - Speichergehäuse - 24 Schächte (SAS-2). Kabel / Cable. Die Rügeobliegenheit gegenüber Kaufleuten gem. HGB bleibt hiervon unberührt. Schäden, die durch Witterungsbedingungen oder Naturerscheinungen (z.B. Hochwasser, Frost, usw.). We just ask one simple action from your side. Manufacturer Netapp. Manufacturer Part # 110-00269 B1 / 111-00708 E3. New Zealand, Norway, Portugal, Singapore, Spain, Sweden, Switzerland, United Kingdom, and United States. Finland, France, Germany, Greenland, Iceland, Ireland, Israel, Japan, Luxembourg, Monaco, Netherlands. DS2246, DS224C, FAS2240, FAS2552. FAS2650, FAS2750. Netapp Storage. We buy retired EMC, Netapp, and Dell Storage! Ask for Nick. Specializing in Netapp, Dell, EMC, IBM, HP and many more products lines. 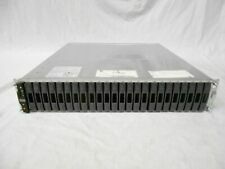 $NetApp ESH4 Module for DS14MK4 Disk Shelf P/N X5512A-R5 Please see the Pictures Please read before bidding! * * * By buying from us you agree that you have read and understood all of our policies. * * * Payment details ---We accept PayPal only! ---Payment must be paid within 7 DAYS after the auction is closed. ---Import duties, taxes and charges are not included in the item price or our shipping charges. These charges are the buyer’s responsibility. Shipping policy ---We ship worldwide with international flat rate shipping. ---We ship our items via Registered Air Mail or via EMS (Express Mail Service). ---A tracking number will be provided within 24 hours of the product being shipped. ---Delivery time depends on destination and other factors. ---We do combine shipping when possible. Netapp X1937A-R5 FLASHCACHE 256GB PCIe Module 111-00660. FAS3270,FAS3240,FAS3210. FAS3140,FAS3070. Pam II flash cache 256GB PCIe Module. Netapp Storage. We buy retired EMC, Netapp, and Dell Storage! P/N: X446A-R6, 0B26591, 108-00257 & 35P2868. Dell, HP, IBM, NetApp, Cisco, Juniper, Brocade, and more. Bank BIC/Swift Code : CTBAAU2S. Account Number : 1001 2449. Account BSB : 064 050. Commonwealth Bank. Netapp DS2246 24 x 600GB. 24 x X422A-R5. NetApp X1005A-R5 10Gb 10 Gbe NIC PCI-X Interface 111-00174 - 10Gb ST optical transceiver is included. 111-00174 A0. Interposer (SATA to SAS board). 12x Hard Drive Caddy 111-00734. Hard Drives. You Will Receive.